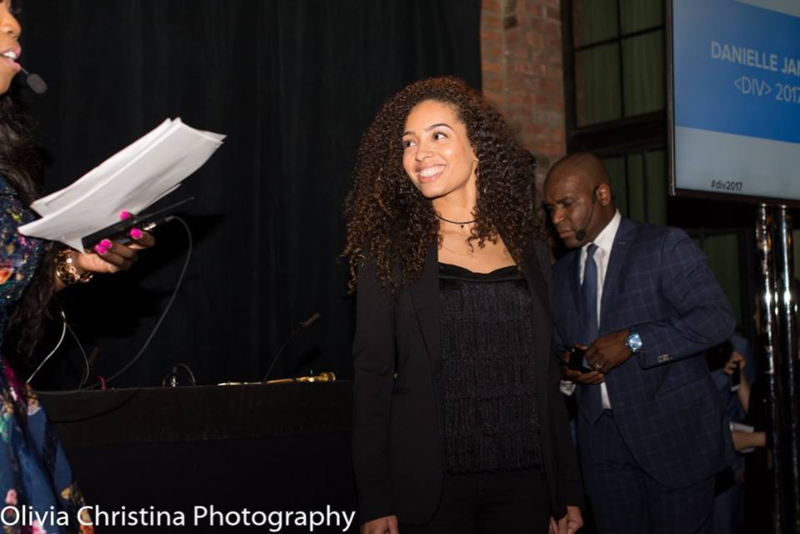 During a conversation I recently had regarding diversity in the workplace with Danielle James, one of MongoDB’s most passionate team members and advocates, she stated, “Diversity has become such a buzzword.” Danielle was recently recognized by Code/Interactive’s Diversity in Tech Awards for her continued support and perseverance, and I was pleasantly surprised by her transparency. Code/Interactive is a non-profit organization that works to ensure all students across the country are given access to an exceptional computer science education, career opportunities, and networking connections, regardless of ethnicity, income, or gender/expression. This is something Danielle noticed very early on in her career. She joined MongoDB in January of 2014 as a Marketing Intern, working with the Events team to create content, help manage social media, and support logistics at MongoDB World. She was ultimately hired full time to the Events team. Of course, there are benefits to similarities amongst colleagues. Commonalities will often help to build the foundation for strong and fruitful relationships. However, differences in thoughts and experiences have been known to breed innovation, and at MongoDB we’re all about innovation. It was also these similarities which caused the spark for Danielle to write a proposal for what would ultimately become the MongoDB Diversity Scholarship program, among other diversity initiatives. According to Danielle, tech events tend to represent industry trends in terms of demographics. In most cases, multi-day conferences remain in reach only for the people who work at a company that can afford to send them. Interested in learning more about Danielle’s initiatives and the diversity programs at MongoDB? Click here.